Having graduated from Kings College London in Dentistry, Dr. Aulak was decorated with over a dozen awards and scholarships along the way, which notably included the Jelf Medal, Guys’ Full Shields and Malleson Prize for research. Having received a wide array of awards, Dr. Aulak was noted to be the highest awarded student of his year. Dr. Aulak has experience in treating patients of all backgrounds from celebrities and TV personalities with millions of followers, to nervous and high needs patients with complex presentations. Recently Dr. Aulak was shortlisted finalist by the Private Dentistry Awards and organises annual courses for young dentists; training them for their national exams and placements. Having had his work published in various scientific journals and conferences, Dr Aulak has also represented different organisations at an International level. 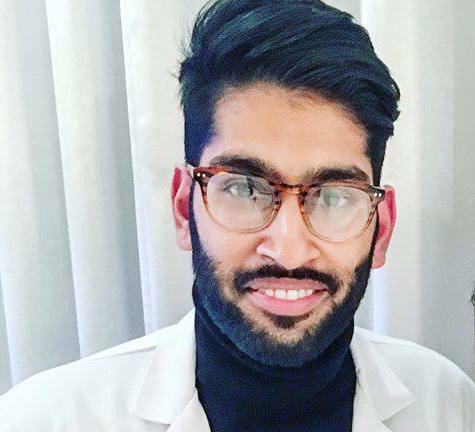 He has held an array of positions which include being President of the biggest dental student society in Europe, where he created links with Harvard Dental School and other international institutions alike. He currently holds a seat on the KCL Dental Alumni committee. Dr. Aulak has worked with a range of clients, from complex presentations to A-list celebrities and influencers. From award winning platinum musicians such as Rita Ora, Anne-Marie and Konan, to international models such as Neelam Gill and Winnie Harlow amongst others.